You maybe saw bits and pieces all week, but it’s finally fully released today. 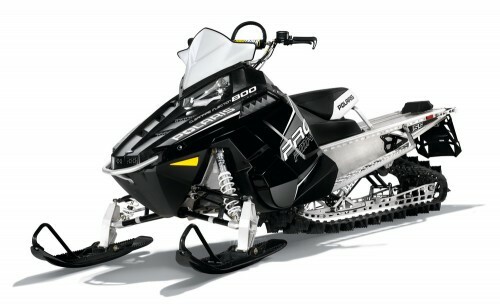 The new Polaris 800 PRO-RMK 155. Polaris added a lot of features to this model. With the mountain segment continually growing, it seems these are the models that get the cool stuff first. And the big news is that the 155 drops weight down to a miniscule 417lbs dry weight. 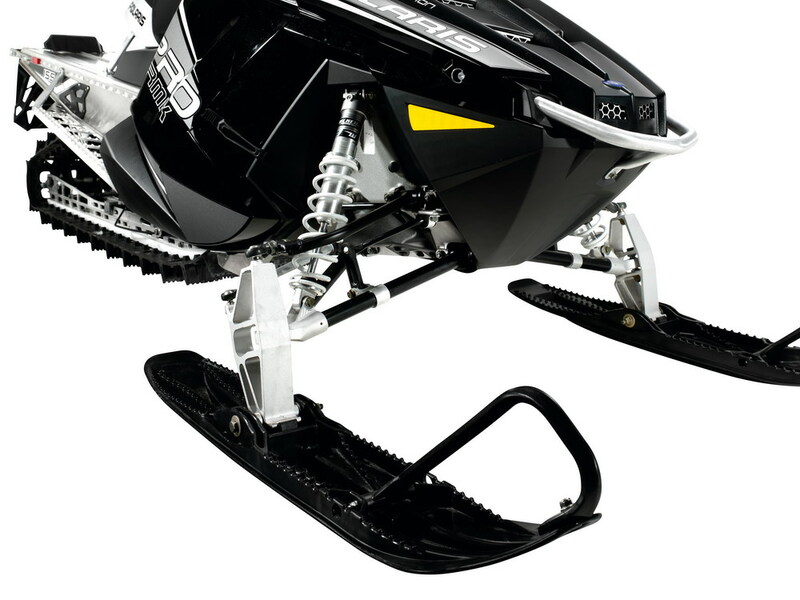 The 800 Pro-RMK 155 is lighter than the previous model, and gets a new front end. Polaris engineered the bonded structure system in the PRO-RIDE chassis, and has taken that technology to the lower front A-arms. A really cool feature that we’ve seen on custom sleds is the belt-drive system Polaris dubs the QuickDrive Low Inertia Drive System. 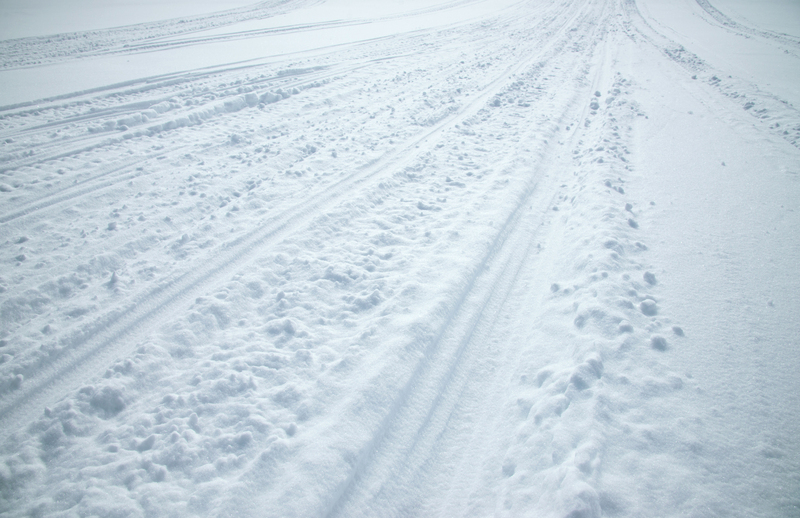 It saves over 6-1/2 pounds of weight and there’s no chain oil to worry about. 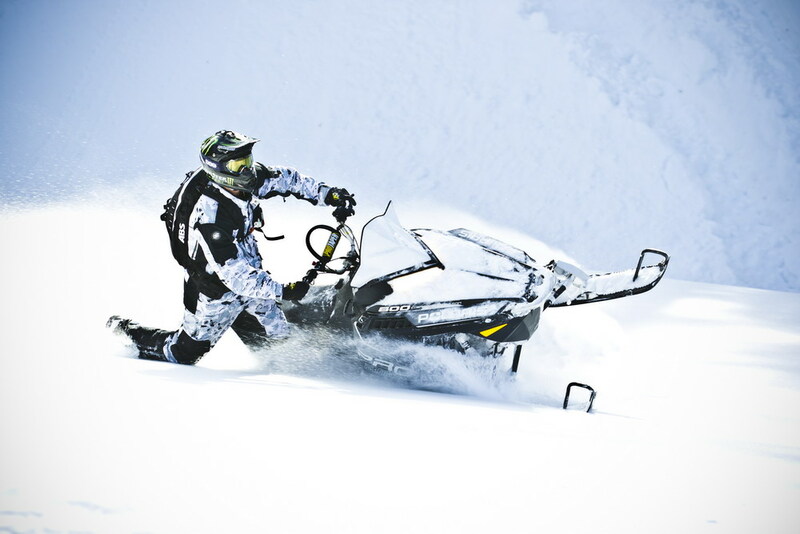 A new seat on the 800 Pro-RMK 155 gives the rider more control and makes it easier to move your legs around the chassis. 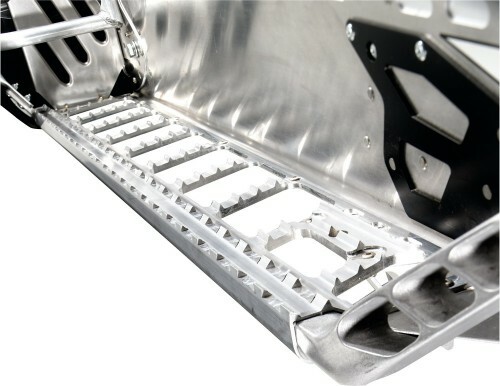 Finally, new Powder Trac running boards are made from extruded aluminum and have large holes for snow evacuation. We’ve only had a chance to see this sled, but our mountain expert will have a hands-on opportunity to ride it in a month. Check back to get our take on this cool new mountain machine. Full PDF and specs here.